Finally have all my shopping done, cards in the mail and all caught up on orders. It feels good to have a day to breathe. This morning I have a card to share. I was not as pleased as I thought I would be with it. 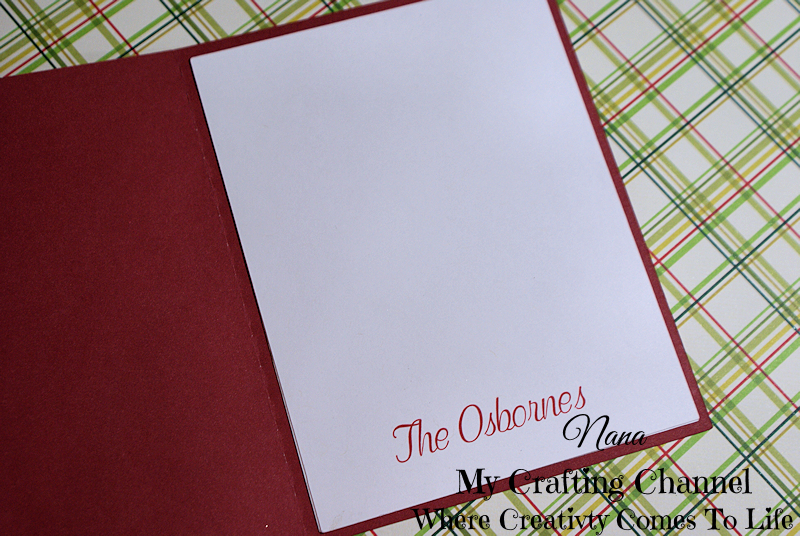 I wanted more of the embossing folder to show. I should have made the window much smaller. Oh well there is always next time. I think it turned out so sweet! 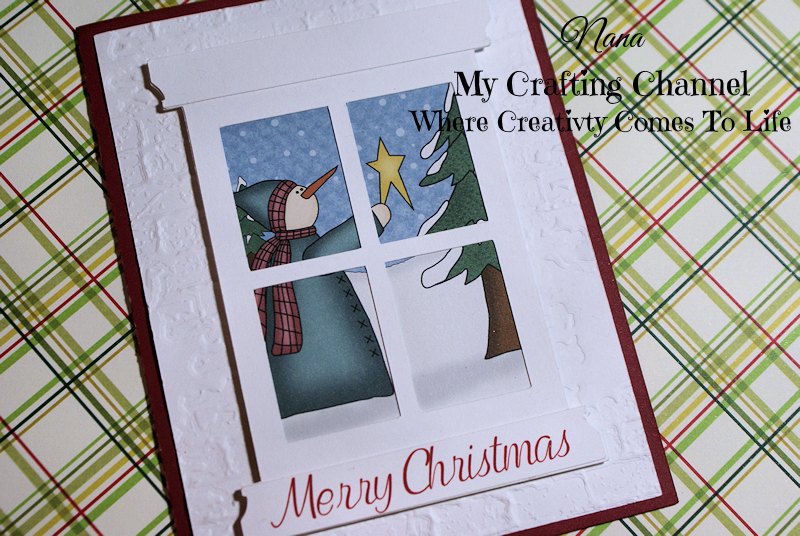 I can still see the embossing and yet the snowman in the window doesn't overwhelm the card - It's adorable! :) Have a great day! I think it is perfect and BEAUTIFUL!! I can see the pretty embossing and adorable snowman! Such a pretty card! The window looks amazing with the snowman! The embossing looks fabulous! What a gorgeous card!! Love the cute snowman and the embossing is wonderful!!! This is such a sweet card! I love how it turned out! Thank you so much for our adorable Christmas card (love the label on the envelope)! Didn't get my cards sent out until last Thursday morning!!! So much for getting them made early! I sure do like that window look! Merry Christmas to you!